Football is a sport built on toughness and grit. It’s a game not meant for the faint of heart, and for these 30 guys, toughness took on an entirely different meaning. These gladiators redefined their positions and the game of football, putting their bodies on the line week after week, year after year. Introducing the 30 toughest players in NFL history. 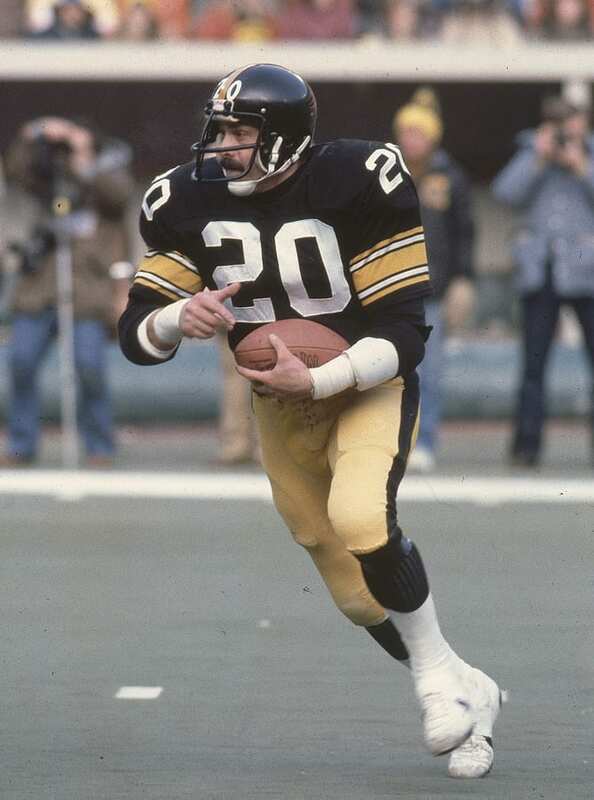 Rocky Bleier played one NFL season (1968) before being shipped off to Vietnam in 1969. The battlefield proved to be much more dangerous for Bleier than the football field, and on August 20, 1969, Bleier was shot in the left leg. Moments later, an enemy grenade exploded in his vicinity, sending shrapnel into his right leg while blowing off a portion of his foot. Bleier was awarded a Purple Heart and a Bronze Star. Miraculously, neither injury could keep Rocky from returning to the game he loved, and in 1970, after extensive rehab, Bleier suited up for the Steelers. He played with them until his retirement in 1980, winning four Super Bowls in the process. 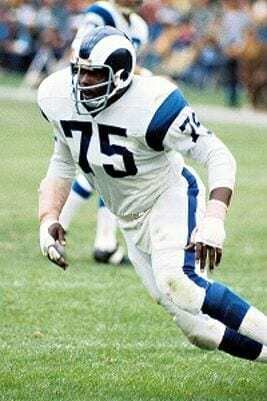 David “Deacon” Jones was largely overlooked by coaches and scouts coming out of college, a mistake all of them would soon come to regret. Over the course of his 14-year NFL career, Deacon Jones got to the quarterback with alarmingly high frequency and coined the term and play us fans love so much today: the sack. During Jones’ playing days, the NFL didn’t have a separate category for quarterback takedowns, but had Jones’ QB tackles been credited as sacks, he would rank third all time. To get to the QB, Jones used a devastating combination of clubbing and slapping offensive lineman in the head, a move that was banned in 1977. They call him “Concrete Charlie” for a reason. Chuck Bednarik, a B-24 gunner who flew on 30 combat missions in WWII, was the last two-way player in the NFL, aka a 60-minute man. 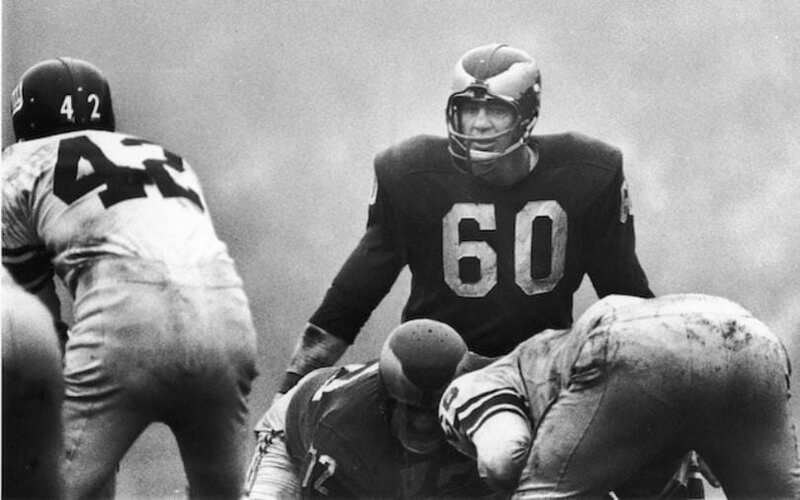 In an era defined by physical play and a lack of rules to protect players, Bednarik missed just three games in 14 seasons. But the man who once knocked out an opposing player from football for over a year and helped preserve the lead on a last-second play in the 1960 NFL Championship is by no means an Eagles fan. Bednarik and Eagles ownership have been at odds with one another after team owner Jeffrey Lurie refused to buy Bednarik’s book and distribute it to players. 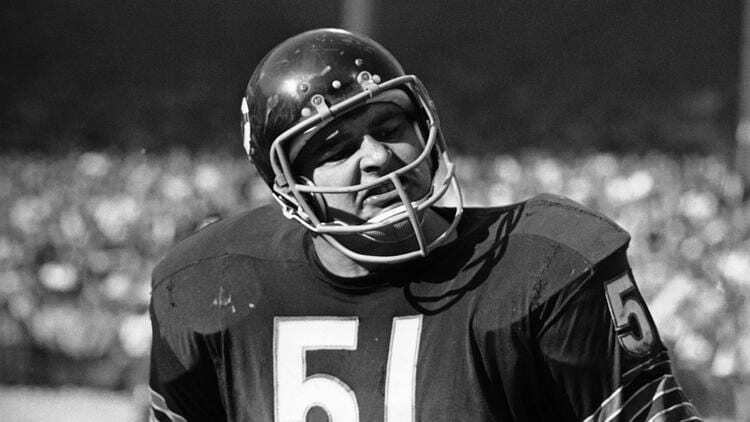 Butkus was selected to eight Pro Bowls and was a six-time First-team All-Pro. A legendary player, Butkus also had a nasty reputation amongst his peers and was oft-accused of poking, biting, and twisting limbs under the piles after the play was over. 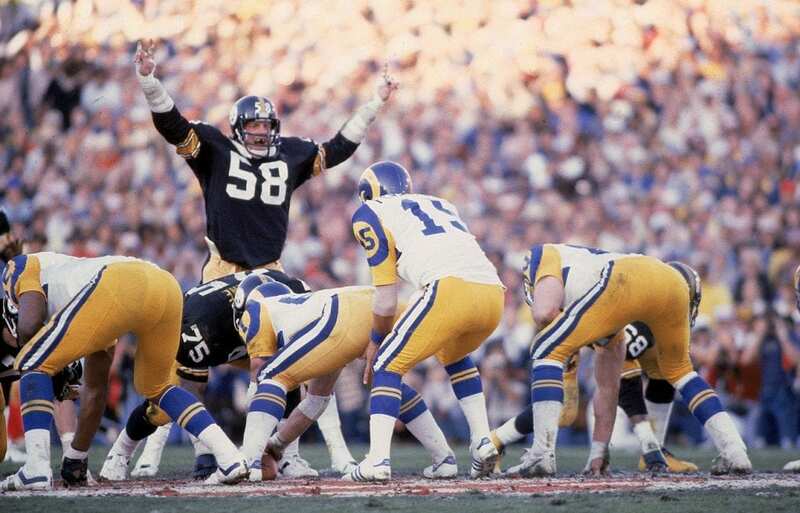 Arguably the most famous Kent State Golden Flasher to reach the NFL, Jack Lambert was a four-time Super Bowl champion, nine-time Pro Bowler, and two-time NFL Defensive Player of the Year. However, of all those numbers, four might be the most significant, and not because of the precious rings Lambert won as a member of the famed Pittsburgh “Steel Curtain” defense of the 1970s. Lambert, a ferocious tackler and leader, is best remembered, at least visually, for his snarl that exposed his four missing upper front teeth. Lambert’s iconic, ominous grin was something that is more commonplace in the NHL, but it would strike fear into the opposition before either team took the field nonetheless. 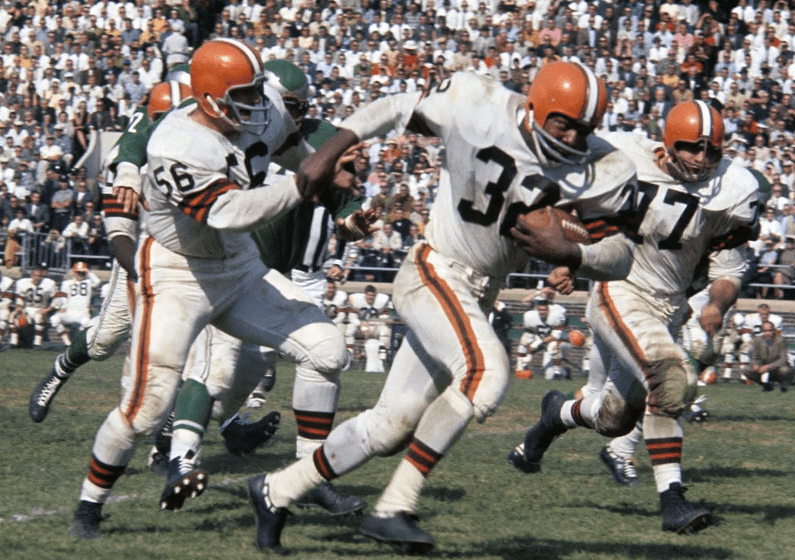 In the history of the NFL, there has yet to be a runner more consistent, dominant, and forceful than Jim Brown. Brown ran during the days when virtually every hit, from spearing to helmet-to-helmet, was legal. Despite the onslaught of defenders trying to take him out by any means necessary, Brown plowed forward en route to leading the NFL in rushing eight out of the nine seasons he played. And while most running backs are on the receiving end of big hits, it was actually Brown who was known for doling out punishing blows. Brown was elected to the Pro Football Hall of Fame in 1971. Brown may have been the browniest Brown of them all. 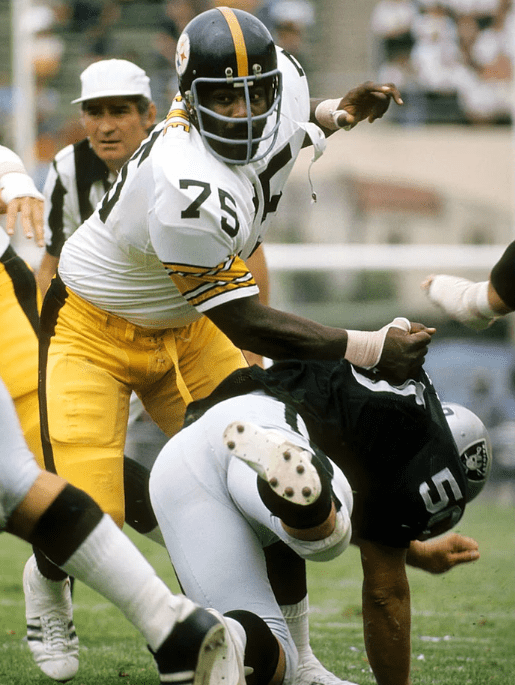 “Mean” Joe Greene was the centerpiece of Pittsburgh’s “Steel Curtain” defense that helped established Pittsburgh as the most dominant franchise of the 1970s. Greene was a sack master and explosive defensive tackle who earned a reputation for being a player that would toe the line between fair and foul. Greene was accused of kicking, punching, and spitting on opponents during and after the play. He would also verbally threaten opponents. Greene would use whatever tactics possible to psyche out the opposition prior to physically dominating them. Greene started 91 consecutive games and played in 181 games out of a possible 190. 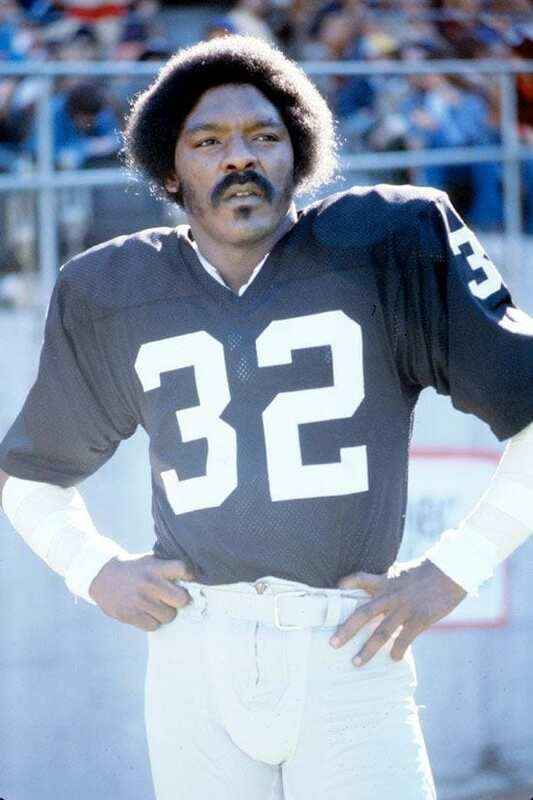 Nicknamed “The Assassin,” Oakland’s Jack Tatum was the prototype for the modern day safety. He was hard hitting, fast, could cover receivers, stuff the run, and roam the field waiting to make a game-changing play. Tatum was responsible for some of the biggest hits in NFL history, including a potentially dirty hit that made Patriots receiver Darryl Stingley a quadriplegic. Aside from that memorable, tragic hit, Tatum made a name for himself by striking fear into the hearts of anyone lining up against him, be it a receiver he was covering or an offensive lineman trying to guard him on the blitz. Once again, it’s all in the name. Bronko Nagurski, born Bronislau, did it all on the gridiron. 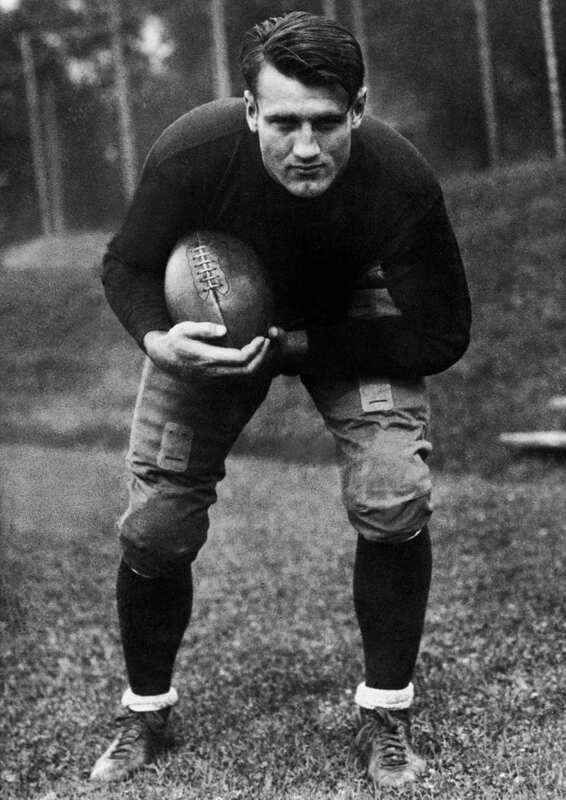 Standing at 6-foot-2, 226-pounds, Nagurski was, at the time, one of the largest players on the field, and he used that size to bully opponents on both sides of the ball. When he lined up at fullback, there was no greater blocker or runner. When he lined up on defense, there was no one who could contain him. In 1993, the Football Writers of Association of America established the Bronko Nagurski Trophy, given annually to the best defensive player in Division I college football. Larry Csonka was an accomplished running back who did just about everything on the field. 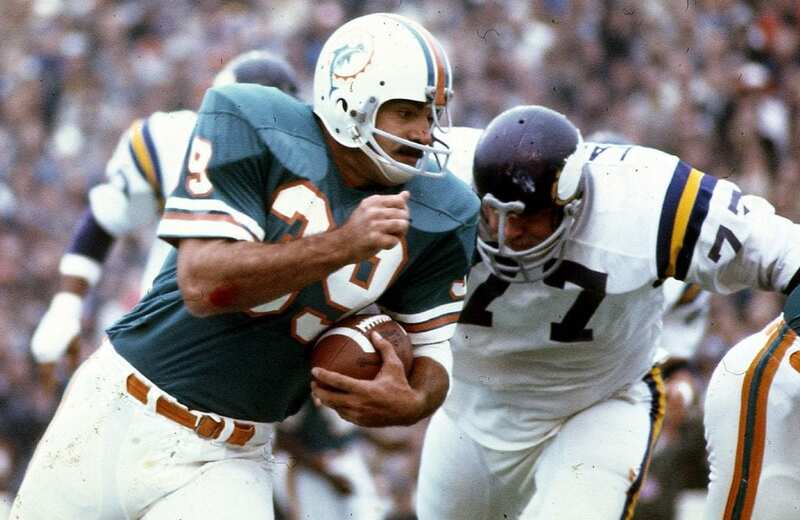 Besides the bruising touchdown runs and two Super Bowls he won with the Dolphins, Csonka is best remembered as being one of the toughest players to ever run the ball. The NFL’s iron man, Hall of Fame quarterback Brett Favre played through sprains, breaks, cuts, bruises, personal tragedy, and the “Bounty Gate” scandal. Favre had 297 consecutive starts over an improbable 19-year span before a shoulder injury suffered late in the 2010 season forced him to miss what would have been his 298th consecutive start. 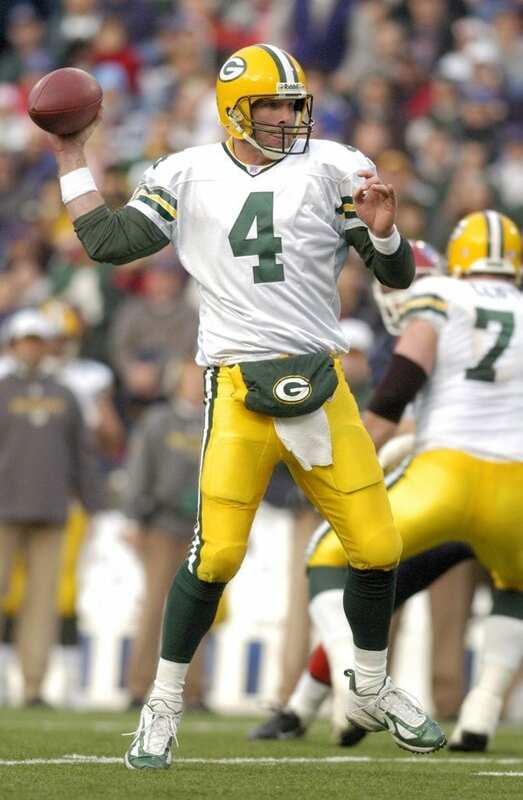 Including the playoffs, Favre started a mind-boggling 321 consecutive games. What makes this stat even more impressive is the 525 sacks Favre endured over the course of his career, the most in NFL history. Favre hung up his cleats at the conclusion of the 2010 season. 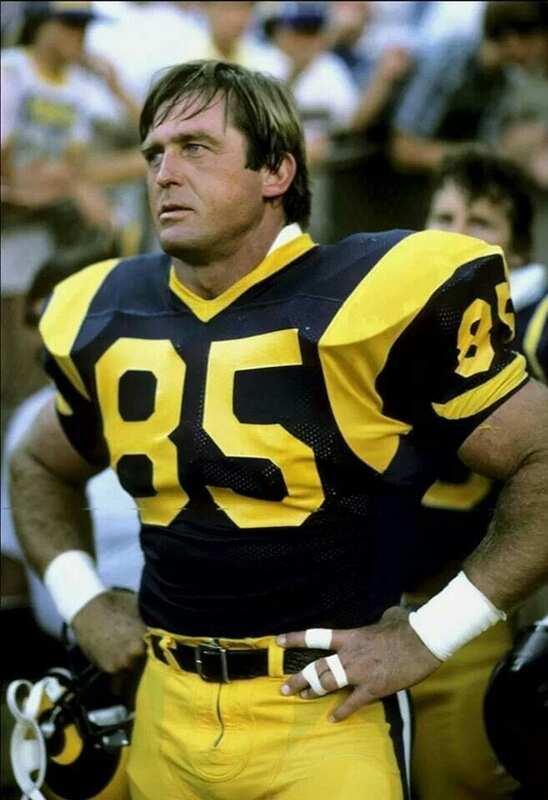 Well, the name alone screams football and toughness, and Jack Youngblood backed up his ferocious name with even more ferocious play. Youngblood was a stellar defensive end but was an even tougher man. During the 1979 playoffs, Youngblood played on a broken left leg. More specifically, a broken left fibula that looked mangled, swollen, and unusable. Youngblood shrugged this injury off, like he had done many times before, and limped through the playoffs including a defeat in Super Bowl XIV. But that wasn’t enough for the man. Youngblood decided to suit up for the 1980 Pro Bowl on that broken leg because, back in the day, the Pro Bowl actually meant something. 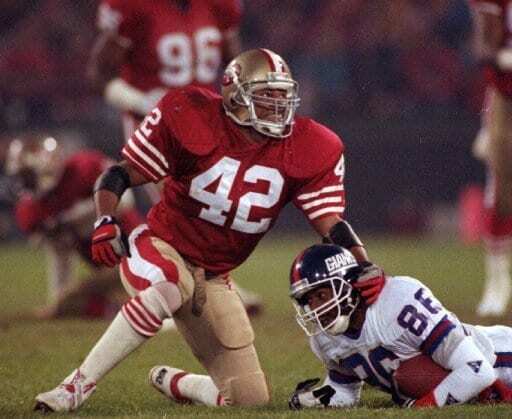 Most people would consider Ronnie Lott the greatest defensive back of all time, and for good reason. He hit like a linebacker, could cover like a corner, and run like a track star. Lott was a four-time Super Bowl champion and 10-time Pro Bowler, and he did a lot of this with just 9.5 fingers. In the offseason before the start of the 1986 season, Lott was faced with a tough decision. Lott, who had a mangled pinky, was given two choices: undergo a relatively complex surgical procedure that would sideline him for the start of the season, or amputate the top digit on the pinky, which would allow him to play in the season opener. Lott made the football decision and amputated the top digit, a choice he has since come to regret. The NFL’s original ironman is not Brett Favre, it’s Jim Marshall. 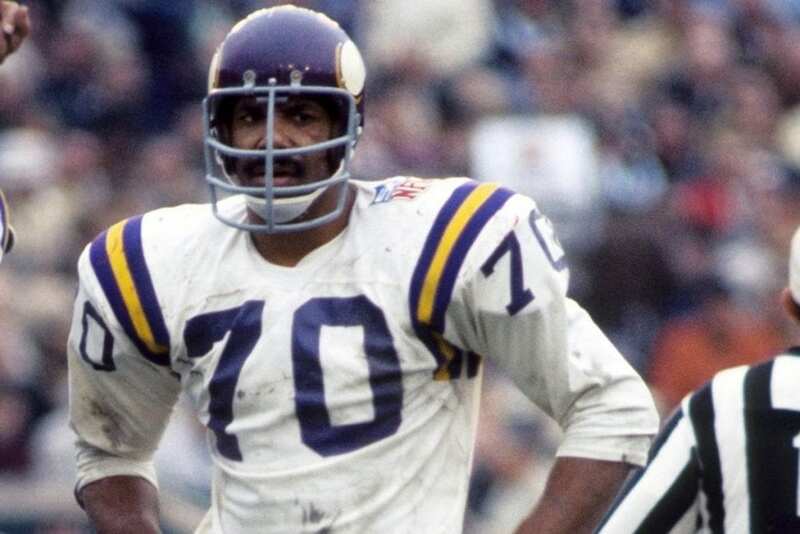 Marshall was a member of the Minnesota Vikings’ feared “Purple People Eaters” defense of the late 1960s and 70s. Marshall’s greatest attribute wasn’t his ability to get to the quarterback or stuff the run, it was his longevity, something that is incredibly rare in a position as physically demanding and brutal as defensive end. By the time Marshall retired in 1979, he had 270 consecutive starts, an NFL record that stood until Favre broke it decades later. The record still stands among defensive players. Marshall also holds the NFL record for fumble recoveries by a player other than quarterback. 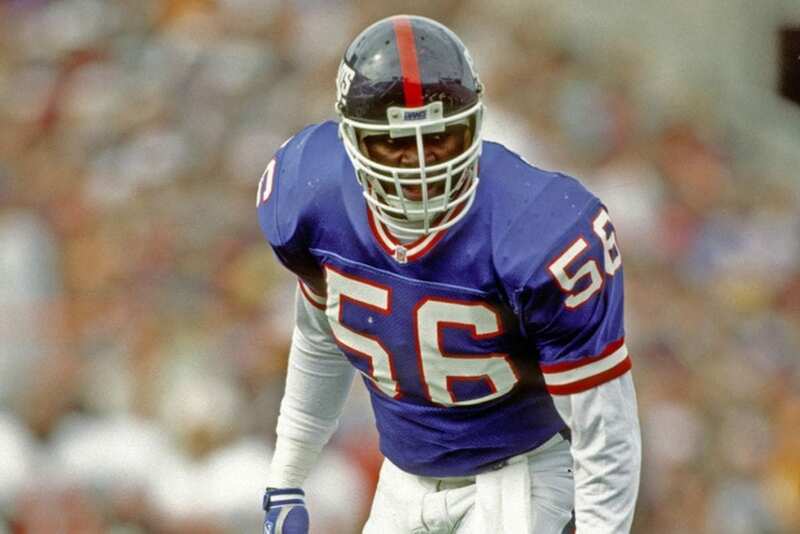 Arguably the most feared defensive player in NFL history, Lawrence Taylor caused as much havoc as a bull in a china shop. Taylor entered the NFL back in 1981 and redefined the linebacker position while also forcing opposing coaches to redefine blocking schemes. Taylor won a record three AP NFL Defensive Player of the Year awards and was named the 1986 NFL MVP, becoming only the second defensive player in NFL history to win the award. But what makes Taylor so tough is his willingness to play the game with reckless abandon. He would throw around his body with no regard and had only one thing on his mind: winning. 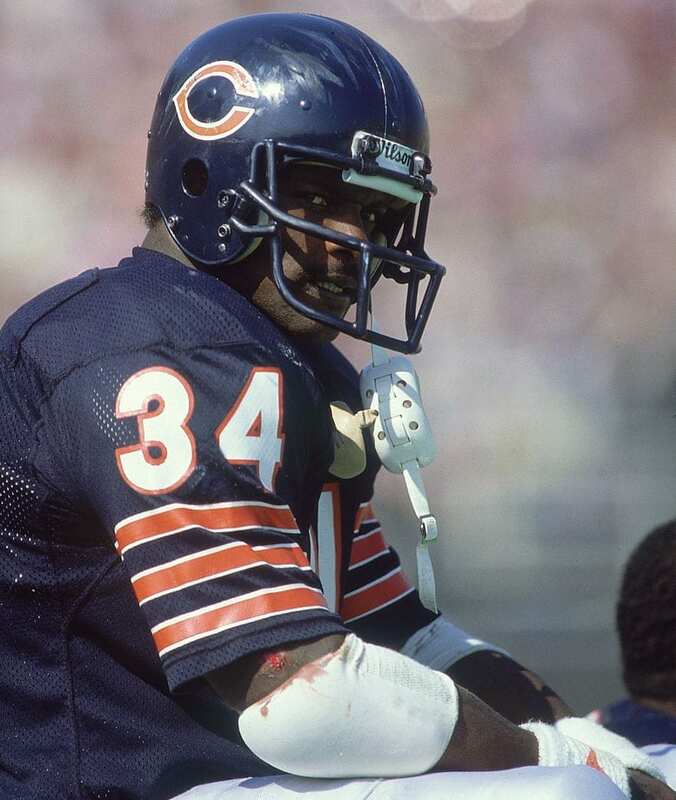 Walter Payton’s motto, the one he lived and ran by, was “Never die easy.” And that perfectly and succinctly summarizes how “Sweetness” ran and played. Going out of bounds, at least voluntarily, was not an option. Avoiding contact was a punishable offense. Sitting out was a phrase not found in Payton’s lexicon. Walter Payton revolutionized the running back position. He was agile, swift, and speedy. He was also powerful, bruising, and punishing. Payton could catch and he could run. He could also throw. 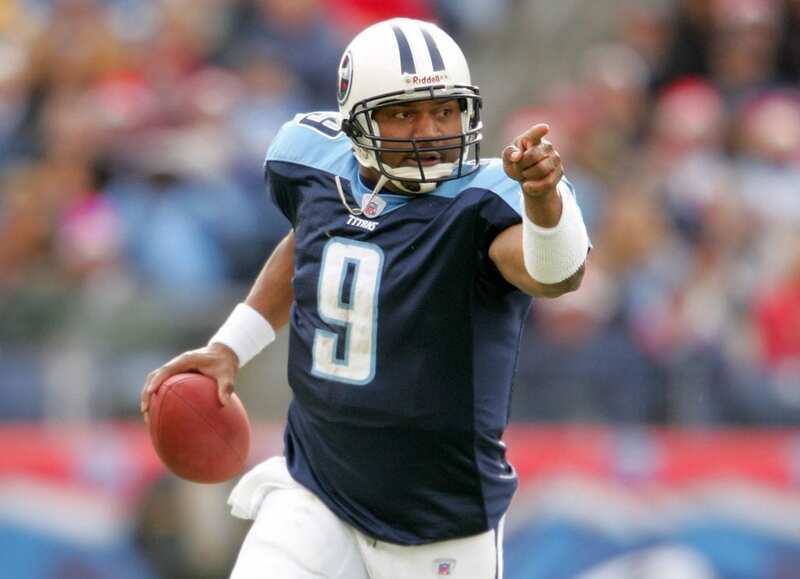 He was a complete player who, in 13 seasons, only failed to reach 1,000 yards in a season three times. Thanks to Mel Blount, the NFL is what it is today. The obnoxious pass interference calls that plague the game? Thank Mel Blount for that. Penalties for jamming the receiver after five yards? Again, thank Mel. 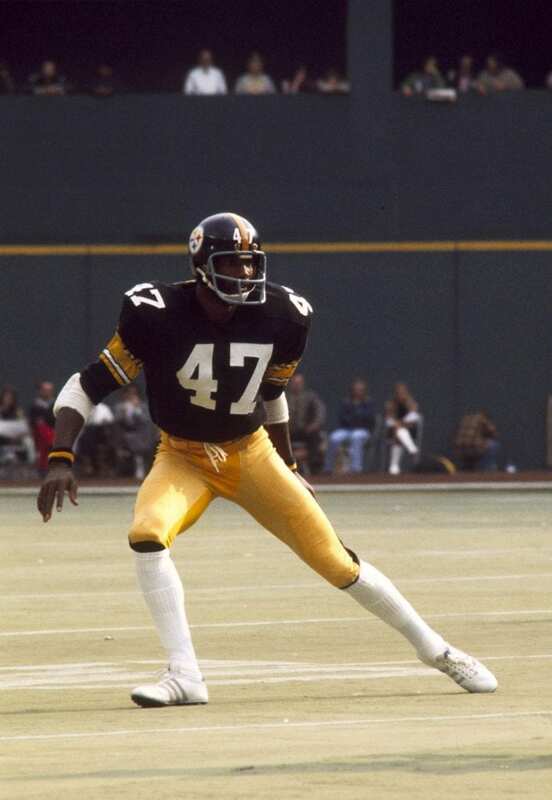 Mel played for the Pittsburgh Steelers from 1970-1983, and during that span, Blount used his size and speed to simply bully receivers into submission. Running routes became an exercise in futility while scoring on Blount simply became a pipe dream. Eventually, the league had seen enough and decided to create the “Mel Blount Rule,” prohibiting defenders from both jamming the receiver after five yards and physically tormenting them downfield. Offensive linemen hardly get the credit they truly deserve. It’s not a glorified position conducive to highlight-reel plays. Kids don’t idolize lineman like they do quarterbacks. That being said, their role on a football team is crucial and the position they play is one of the toughest in the game. On every play, offensive linemen engage with aggressive defensive linemen and linebackers salivating at the chance to hit their quarterback. Massive collisions are inevitable. Needless to say, the average career span for a lineman is short. Yet Bruce Matthews defied conventional wisdom and played for 19 seasons and is second in NFL history with 293 total starts. 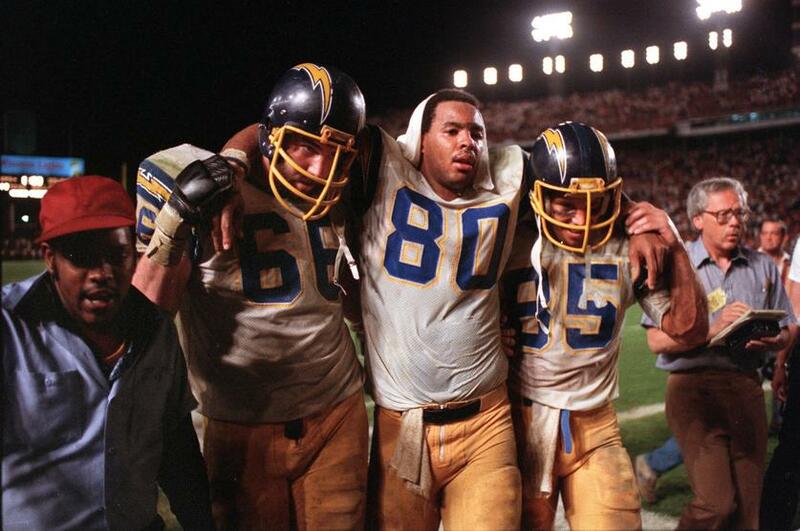 Much of the lore that surrounds Kellen Winslow Sr. can be attributed to this photo. Dubbed the “Epic in Miami,” Winslow and his Chargers squared off against the Dolphins in the 1982 AFC Divisional round playoff game. The field was a mess, humidity was overbearing, and the two teams slugged it out from the get-go. The game went into overtime before the Chargers nailed a game-winning kick. Winslow, who had to be carried off the field by teammates, suffered from severe dehydration, a split lip requiring stitches, and a pinched nerve. Fighting off the physical ailments, Winslow finished with 166 yards receiving, one touchdown, and a crucial field goal block. Becoming the NFL’s all-time leading rusher over 15 punishing seasons at one of the hardest positions is a true testament to Smith’s durability and toughness. Running backs usually have short careers and are often the most injured players on the team. If a running back is successful and healthy, they get the ball more frequently, becoming the team’s workhorse. This, in turn, means absorbing more big hits and increasing one’s risk of injury. 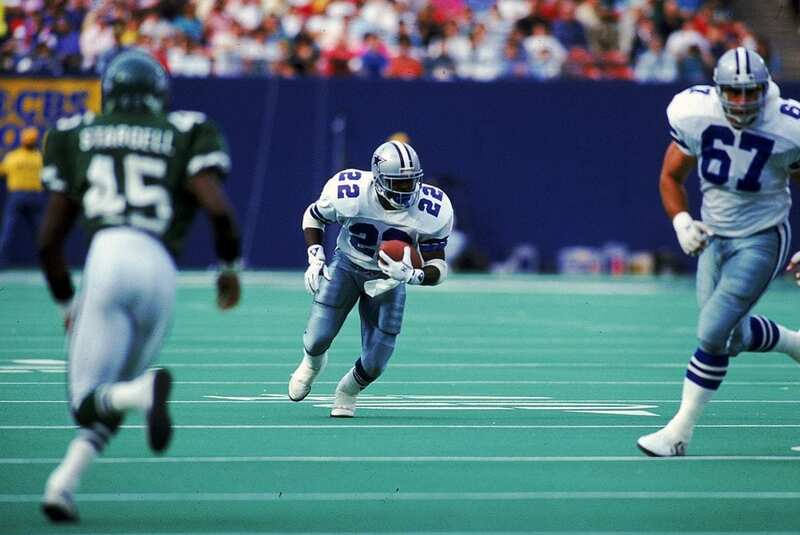 But somehow, Emmitt Smith was able to avoid devastating injuries. His legs stayed fresh as he spun, hurdled, and ran past defenders year after year. In his 15 years, Smith only had one season where he didn’t play 14 games or more. Ward may be one of the more polarizing players on this list. Steelers fans love him while virtually everyone else hates him. Teammates thought he was the hardest worker in the game, willing to do anything for a win. Opponents thought Ward was a dirty player who used cheap shots to gain a leg up on the competition. 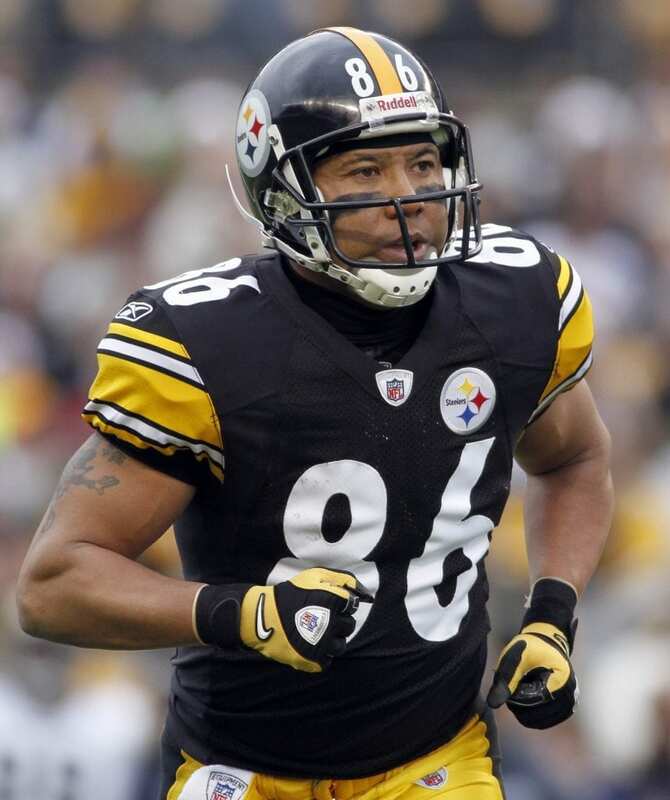 No matter how you spin it, everyone can agree on one thing: that Hines Ward was as tough as nails. He was small, scrappy, and utterly fearless. He would run over the middle of the field, exposing his body, to make a big catch, and on run plays, Ward would selflessly block the hardest hitting linebackers. Nothing was out of play for Ward. Second only to Brett Favre on the all-time sacked list is John Elway. Elway led the Broncos for 16 tough seasons, getting sacked 516 times. 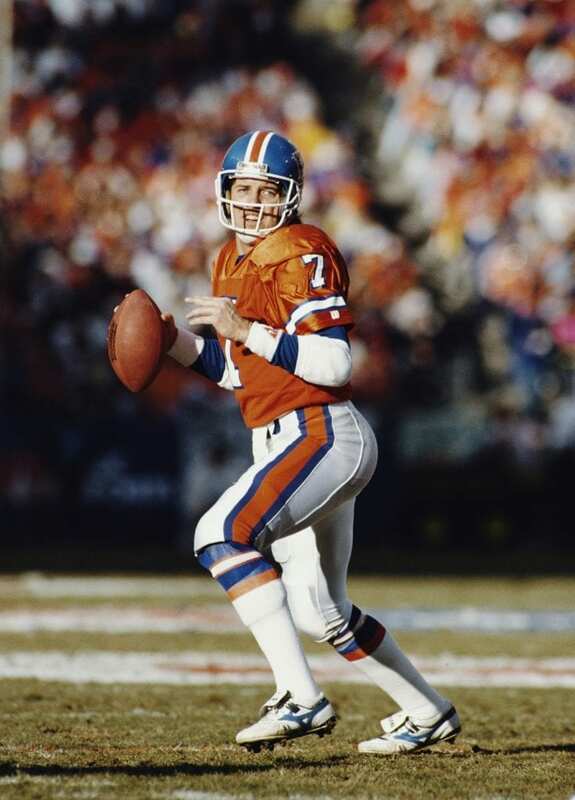 Elway, a prolific running quarterback, often found himself scrambling for extra yards and taking big hits. He also dealt with some of the ugliest Super Bowl losses in history. That’s three humiliating losses, to be specific. People began to question whether or not Elway was capable of winning the big game or if he was too battered to continue. Elway, in relentless pursuit of that elusive championship, kept playing, kept getting up, and kept silencing the doubters. Eventually Elway broke through, winning back-to-back Super Bowls before retiring after his MVP performance in Super Bowl XXXIII. 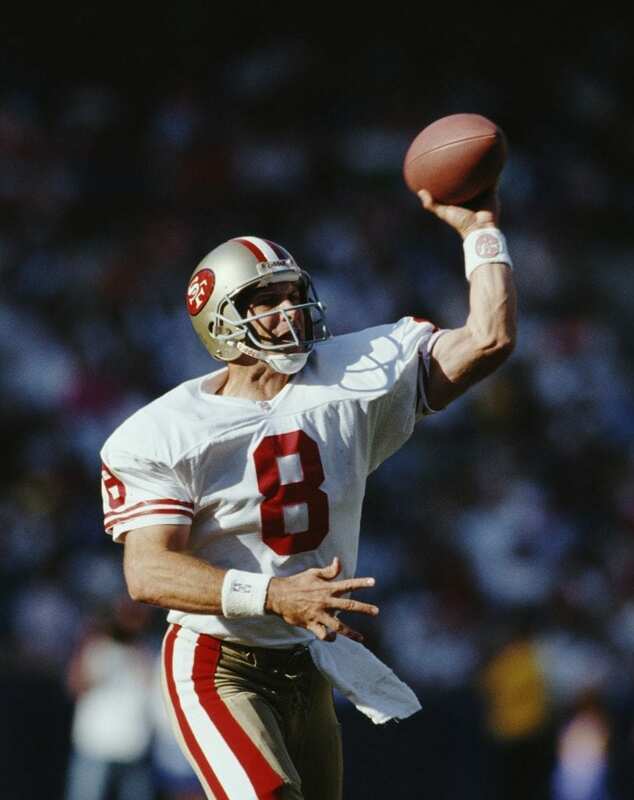 Steve Young played 15 injury-plagued seasons in the NFL. Of those seasons, Young only started a full 16 games three times. Young suffered numerous concussions, which forced his early retirement from the game. 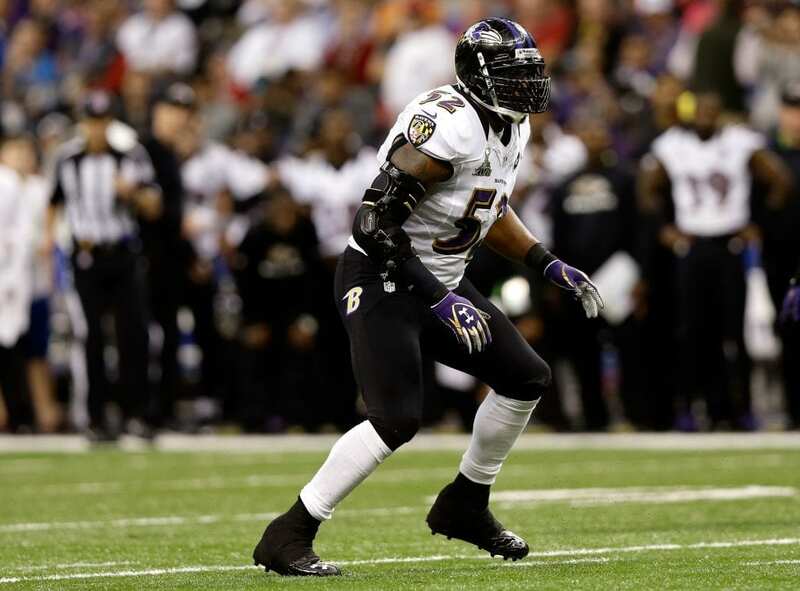 He also dealt with countless other injuries that severely hobbled the mobile quarterback. However, vicious hits and shortened seasons did not hamper his effectiveness as a player and leader. Young was, and still is, considered to be one of the most efficient passers in league history. He won two MVP awards in addition to three Super Bowls (one as a starter). Young also ranks second among quarterback with 43 rushing touchdowns. 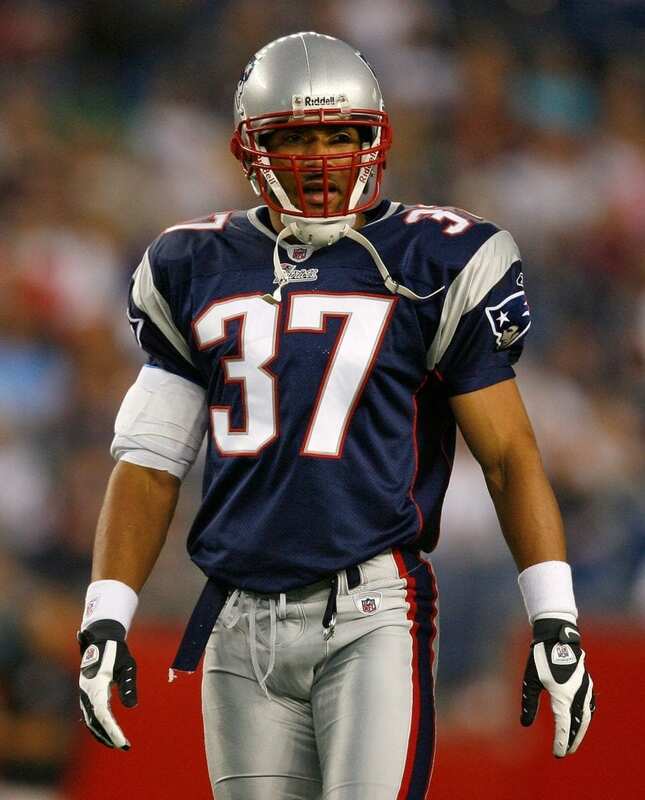 Like Hines Ward, Rodney Harrison is beloved by his fans and abhorred by everyone else. He was labeled a dirty, reckless player who played beyond the whistle. For all of the hype surrounding the lethal blitzer who holds the NFL record for sacks by a defensive back, Harrison was only selected to two Pro Bowl teams. He also wasn’t able to jar the ball loose from David Tyree’s helmet in Super Bowl XLII. In Super Bowl XXXVIII, Harrison proved his toughness after fracturing his arm late in the game while the Panthers were in the hurry-up offense. Forced to stay in the game, Harrison made a tackle on the ensuing play, completely shattering his arm. The Patriots would ultimately win the game as Harrison cheered on from the sidelines. 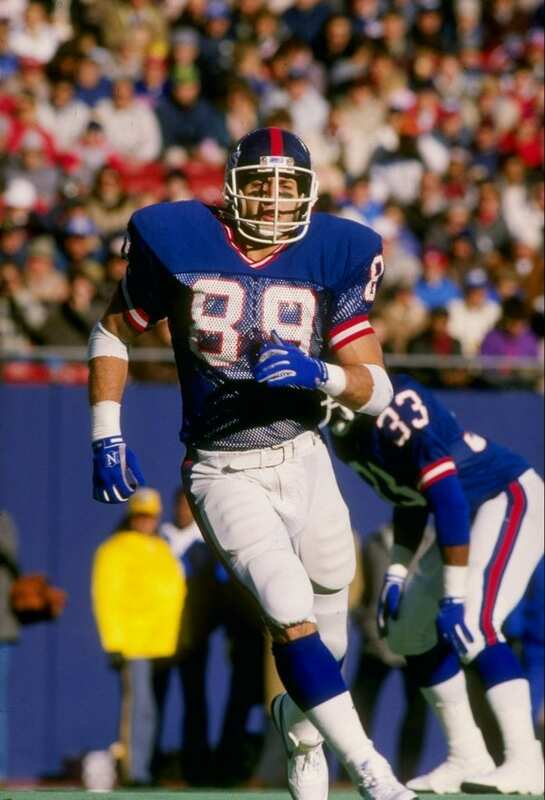 Mark Bavaro was the original Rob Gronkowski, a fast, powerful tight end who could catch and block with equal aplomb. He was also frequently set back by injury, just like Gronk. 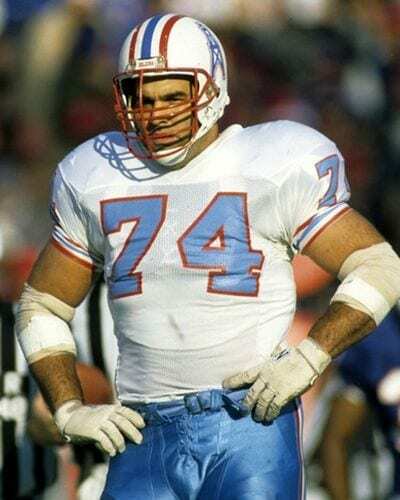 During the days of Lawrence Taylor, the Giants were regarded as a physical team specializing in defense, but there may not have been a more physical player on that team than Bavaro. Mark could drag entire defenses yards at a time before being taken down, and he could play through serious injury. In the 1986 season, Bavaro played six games with a broken jaw wired shut and three games with a broken toe, all while helping the Giants win the Super Bowl. The “Minister of Defense,” ordained minister and sack virtuoso Reggie White was always beating up quarterbacks, even while he himself was getting beaten up by constant double teams and special schemes designed to slow him down. White played 15 seasons at defensive end, playing in 232 out of 240 possible games. Over that decade and a half, White brought down the quarterback more than anyone else in the league. White retired as the NFL’s all-time sack leader and today sits just two sacks behind all-time leader Bruce Smith. 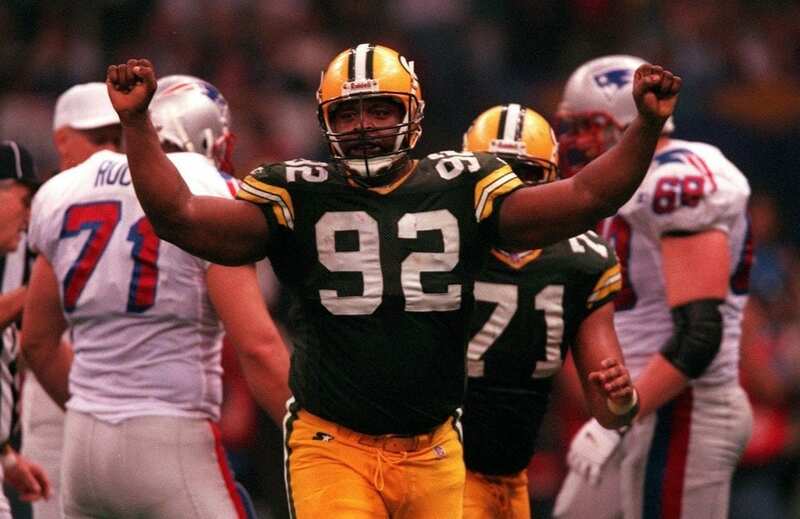 As a Packer, White won his first and only Super Bowl by defeating the Patriots. Controversial figure alert. Many people aren’t too high on the hard-hitting linebacker due to Lewis’ involvement in a murder at a Super Bowl afterparty in 2000. Lewis, a two-time Super Bowl champion, is often thought of as one of the most complete linebackers in NFL history. Week after week, Lewis would deliver bone-crushing hits, cover tight ends with great efficiency, and force turnovers frequently. His durability allowed him to play for 17 years despite the reckless abandon he played with. Lewis was selected for 13 Pro Bowls and 10 All-Pro teams, and after winning Super Bowl XLVII, Lewis retired from the NFL. Steve “Air” McNair is on this list because he got beat up more than a punching bag in a boxing gym. Each year there was something destined to go wrong with the 2003 league MVP. A dual-threat quarterback, McNair had a few things going against him. First, McNair never had the greatest offensive line to protect him and keep him vertical. To compound that issue, McNair was a mobile quarterback, and if there’s one thing we know about scrambling QBs it’s that they take a lot of hits. And a lot of hits means a lot of injuries. On July 4, 2009, McNair was tragically murdered in his Nashville apartment by Sahel “Jenni” Kazemi. Fantastic football name here. Nitschke was a seven-time champion (both NFL Championship and Super Bowl) for the Green Bay Packers. He anchored Vince Lombardi’s famous defenses of the 1960s and was one of the league’s premier linebackers. 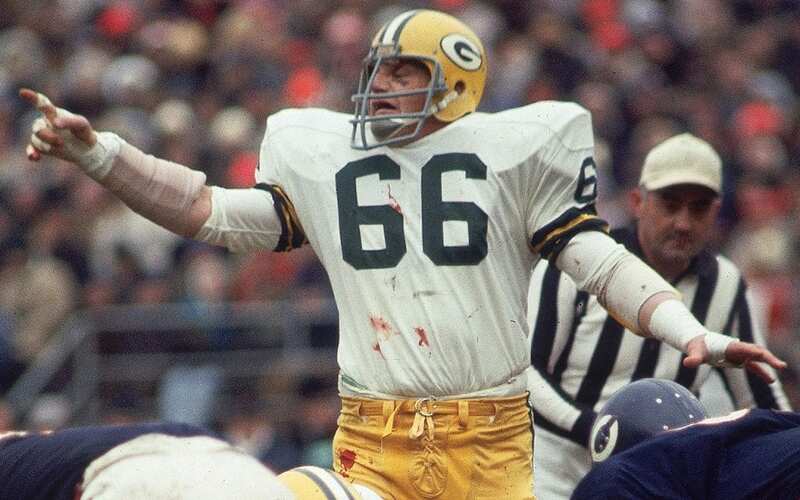 As you can see below, a drop of blood (or two) wasn’t going to keep Nitschke off the field. In fact, hardly anything could keep this man from playing ball. Nitschke played for 15 seasons at one of the game’s most physical position during the game’s most ruleless and ruthless era. There’s also that time when the tower Vince Lombardi coached from fell on Nitschke, piercing his helmet- not his skull. Over 20 concussions. Over 70 surgeries. And only one AFL Championship. 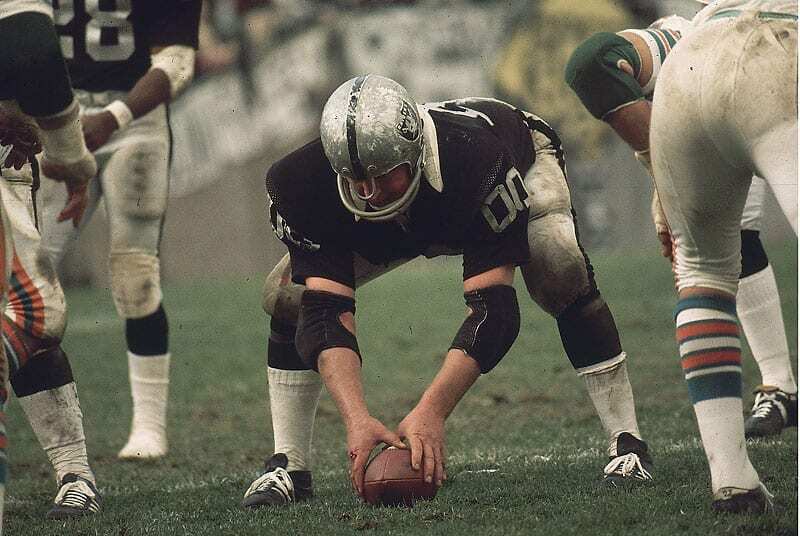 But for Jim Otto, the center for the Raiders from 1960-74, it was all worth it. All of the pain was worth all of the glory. Otto finished his career a three-time Pro Bowler, three-time All-Pro, and a nine-time AFL All-Star. Many casual fans may not know Jim Otto because, after all, he was a center. But his indelible legacy will forever be appreciated and respected by true fans of the game. Otto was selected to the Pro Football Hall of Fame in 1980, his first year of eligibility. Three-time NFL Champion and MVP, Johnny Unitas was the quarterback for the people, an idol for all, and the man that paved the way for the modern-day quarterback. Unitas had a golden arm, a great set of legs, and a mindset that could not be broken. Unitas starred in the NFL for 18 seasons, absorbing hit after hit and getting up to throw touchdown after touchdown. 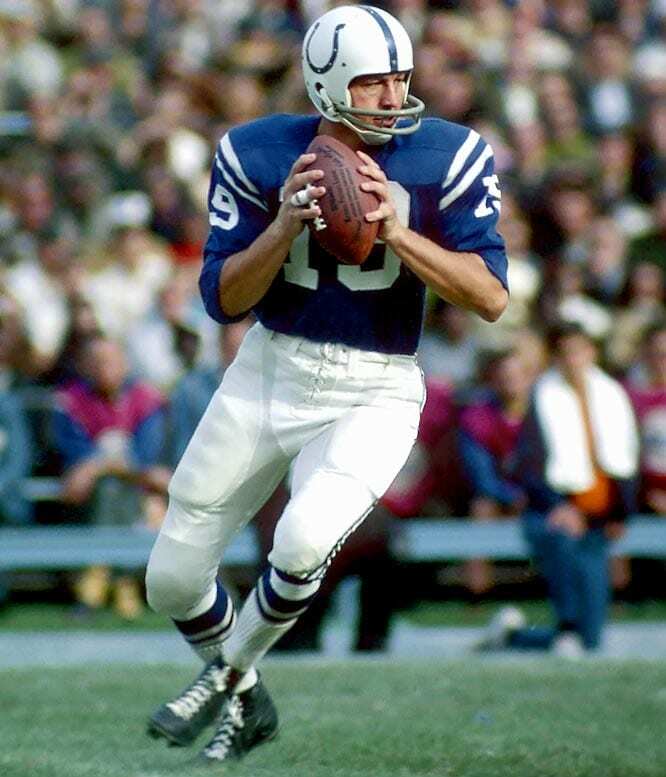 Despite playing in an era with infinitely fewer rules to protect the quarterback, Unitas still managed to dominate the game and stay healthy enough to lead the Baltimore Colts. Unitas also held a 47-game touchdown passing streak that stood for 52 years before Drew Brees broke it in 2012. Buffalo really did Bruce Smith wrong. 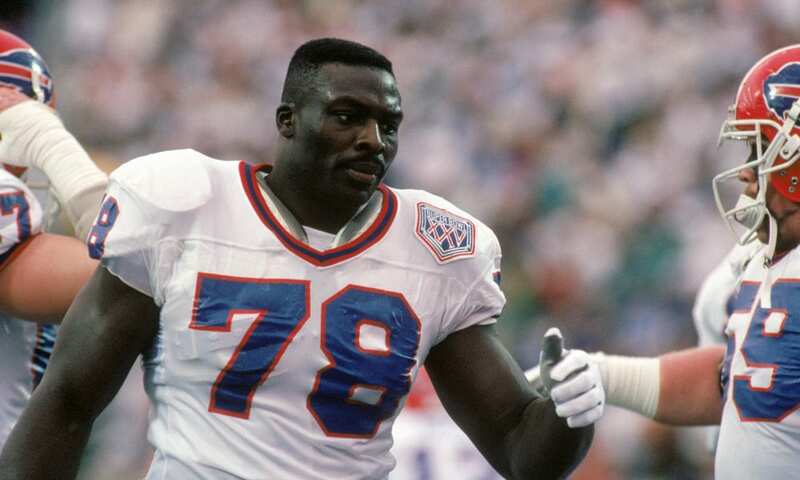 The only man in NFL history to reach 200 sacks, Hall of Fame defensive end Bruce Smith was a one-man wrecking crew. Bruce Smith, regardless of the opposition’s best efforts, game plan, and tactics, was going to get to the quarterback. It was inevitable, like day following night. Smith was one of the Bills stalwarts that helped Buffalo reach four consecutive Super Bowls. Unfortunately for Iron Man Bruce, Buffalo was never able to capture the elusive Lombardi Trophy, a misfortune that still haunts them and their fans today. Smith was enshrined in the Pro Football Hall of Fame in 2009, his first year of eligibility. Well, when you hold the NFL record for oldest player to ever play in an NFL game, you’ve done something right. You’ve treated your body like a temple and have lasted longer than anyone else. By definition, you must be tough, and that is what George Blanda was. Blanda played in an NFL game at 48 years old. 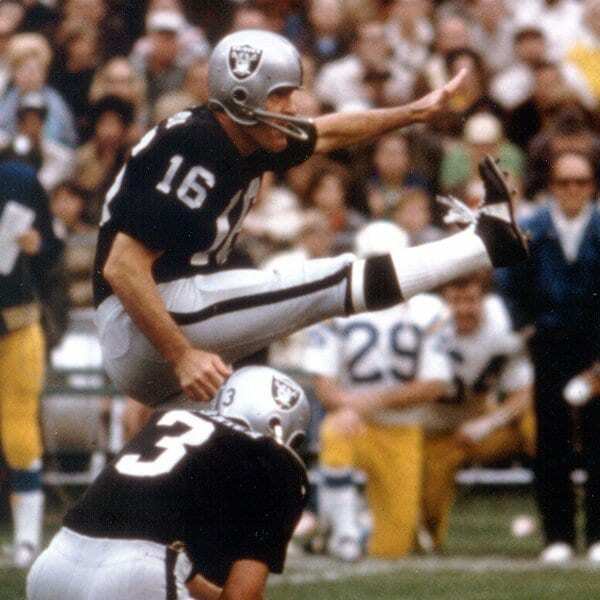 The man was a few years away from collecting social security and was still kicking field goals. Before Blanda primarily became a kicker, he was a talented quarterback and even made frequent appearances on the defense. Not only was this man tough, but he was also a multifaceted jack of all trades. 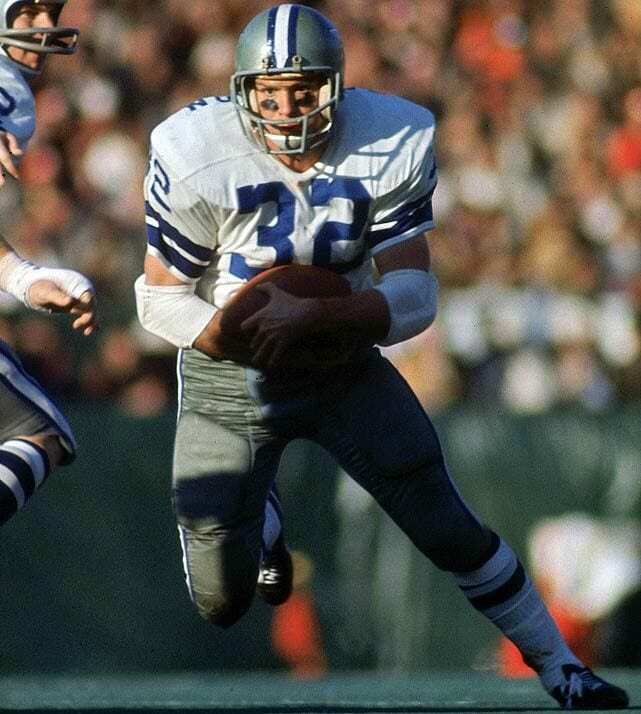 Blanda, not surprisingly, holds the NFL record for seasons played with 26. 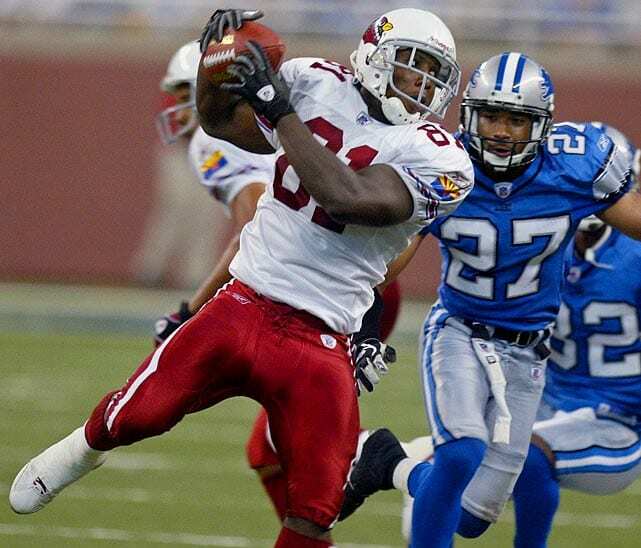 One of the most durable receivers in recent memory, Anquan Boldin defined toughness at the position. In an era of receivers marked by divas, antics, and theatrics, Boldin remained humble, team-oriented, and focused on the game, not himself. One memorable incident where Boldin exemplified his toughness came during the 2008 season when Jets safety Eric Smith delivered a vicious, questionable hit to Bolden’s head. Bolden, knocked unconscious, needed surgery to repair a sinus fracture and also had wires inserted into his jaw to repair the damage. For most people, that injury would cost them a season, for Anquan Boldin, it cost him two games. A cowboy in every sense of the word, Garrison was an Oklahoma State University Cowboy before being drafted by the Dallas Cowboys. When he wasn’t wearing football pads, Garrison was still a cowboy, wrestling steer and riding bulls. Garrison, a Super Bowl champion and Pro Bowler, spent time on professional rodeo circuits during the offseason. In 1966, Garrison’s signing bonus with the Cowboys included a horse trailer. Throughout his career, Garrison suffered numerous injuries, from sprains to gashes, thanks to steer wrestling and whittling. Inevitably, it was a knee injury suffered during an exhibition steer wrestling event that ended his career.